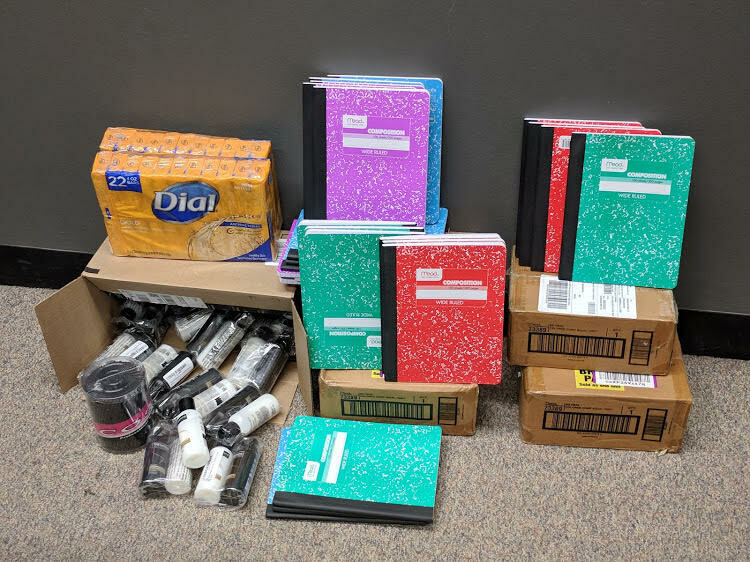 Thanks to your generous donations, we were able to send hundreds of notebooks, shampoo, conditioner, combs…etc. 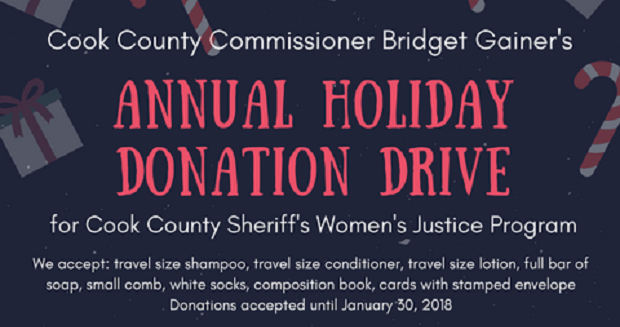 to Cook County Commissioner Bridget Gainer, supporting the Sheriff’s Women’s Justice Program. Thanks so much for your support. The Bears Stink. Support a Good Cause. 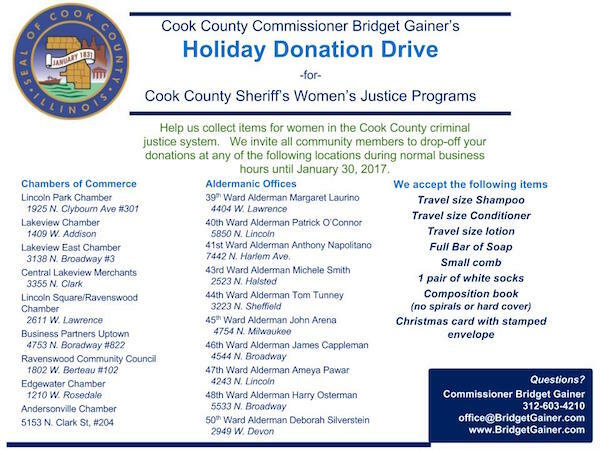 In last week’s game preview I gave some space to the charitable efforts of Cook County Commissioner – and friend of DBB -Bridget Gainer. The image is above. Since this is a blog, and since writing is a central component, I’ve decided to focus our attention on the composition notebooks. Incarceration ain’t easy. And while providing shampoo and conditioner would be nice, providing these women with an outlet to express themselves would be far more impacting. And our sponsor, AREENA, has decided to match the total donations of our readers. We’ll then take the money and get hundreds of composition notebooks to Gainer’s people the week of December 18th. So donate! $2 buys a notebook. $5 buys three notebooks. Give what you can. The Bears stink. So let’s try and make a difference. The button to donate is directly below. AoM Book Drive – Chicago, April 2017 from Jeff Hughes on Vimeo. In April, DaBearsBlog is joining our principal sponsor Art of Men (ArtofMen.org) and Cook County Commissioner Bridget Gainer for a city-wide book drive across Chicago to benefit the young men and women at the county’s Juvenile Temporary Detention Center (JTDC). These kids have not all been convicted of crimes. Many come from terrible home environments and are trapped in the system. They feel forgotten. But we don’t forget them. It is impossible to quantify the impact the act of handing one of these kids a book can have. Donation boxes will be available at more than 100 bars and restaurants, with hundreds of AoM members providing thousands of books. Commissioner Bridget Gainer was Noted by MSNBC’s Chuck Todd as a rising star in Illinois politics, Commissioner Gainer was elected to the Cook County Board in 2010. With an M.B.A. from the University of Chicago and a strong background in finance, Commissioner Gainer’s first act as a County Commissioner was to create Cook County’s first Pension Committee. The Juvenile Temporary Detention Center provides temporary secure housing for youth from the age of 10 through 16 years, who are awaiting adjudication of their cases by the Juvenile Division of the Cook County Courts. The Center also provides care for youth who have been transferred from Juvenile Court jurisdiction to Criminal Court. These youth would otherwise be incarcerated in the county jail.